A Petition for Victoria's Secret to Make Mastectomy Bras, Jennifer Lopez Maybe Hates Her People Cover, and Kate Upton a TV Host? New York Fashion Week Finally Wrapped Up: We saw lots of well-dressed people, random celebrities, underaged models, and, of course, beautiful clothes. The Grammys Happened:... and (gasp!) celebrities attended, wearing clothes and everything! Adele Won Six Grammys, Covers March Vogue: While we wish the Fashion Bible had opted for a full-legnth shot of the singer, we will co-sign on her glorious cleavage, featured prominently for all the world to see. In short: Girl, woooork! Whitney Houston Dies: One of the greatest voices of our generation (read: ever), Whitney Houston passed away in her Beverly Hills Hilton hotel room last weekend. She was 48 years old. She will be sorely missed by all. 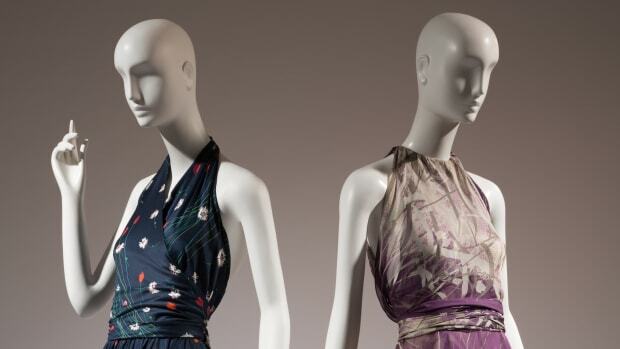 A look at "Yves Saint Laurent + Halston: Fashioning the ’70s," now open at the Museum of the Fashion Institute of Technology.